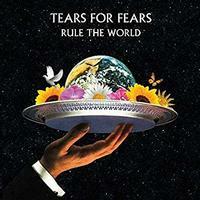 Tears For Fears return with their definitive new Greatest Hits collection Rule The World, released on 2LP. The album features the band's classic tracks including "Shout" and "Everybody Wants To Rule The World" which both hit No. 1 on the Billboard Chart. The record also includes two brand new studio tracks, the single "I Love You But I'm Lost" and "Stay."